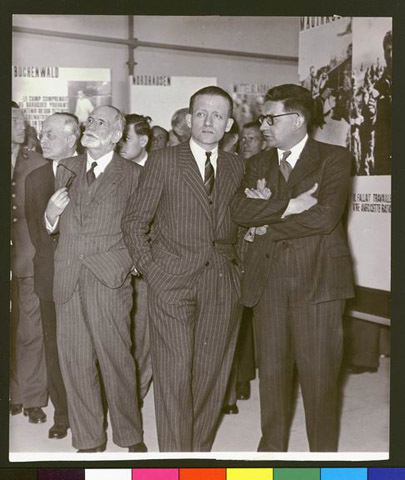 JDC - Archives : French politicians at the opening of the exhibition of Nazi Crimes. Title French politicians at the opening of the exhibition of Nazi Crimes. Description French politicians, including Mr. Frenay and Mr. Soustelle, the Minister of Information, attending the opening of the exhibition on Nazi crimes in the Grand Palais. During occupied France, the Nazis used the space to host propaganda exhibitions.